Another week, another label realizing the streaming revolution of Spotify simply isn’t for them. 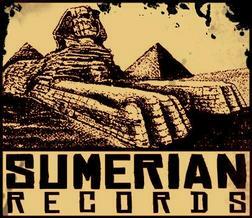 Following in the footsteps of Century Media and Prosthetic, Sumerian Records has officially pulled their catalog from the streaming service. We rather be able to send our bands around the world on tour, make music videos and continue to support their careers and livelihood. Go to youTube if you want to hear all music. We are all about exposure but only major labels have equity in Spotify. All us metal labels will join forces and make our own so that our artists can still eat. These complaints aren’t unfounded. Spotify is 18% owned by three of the biggest labels in the country. Where indie artists get no advances or special treatment, big name talent are still reaping the rewards because, you guessed it, their bosses own part of the company. We’re all about free music at UTG, but not when it means the talent must go without. Buy music, build a collection, and share your passion for sound with the world. You’ll appreciate it more. Trust us.